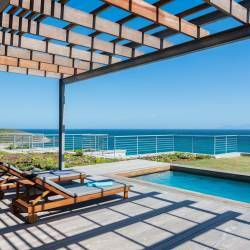 Accommodation in Sodwana Bay at Toad Tree Cabins in self-catering cabins. Toad Tree Cabins, Sodwana Bay is in the heart of the iSimangaliso Wetland Park, a World Heritage Site, a diving paradise and home to golden beaches, fertile swamp forests and lush wetlands with dolphins playing in the surf. Experience a close-up encounter with Africa’s spectacular wildlife, from the mighty elephant to the captivating dung beetle. Under the waves, Sodwana Bay offers the eco-diver pristine coral reefs, tropical fish, whale sharks, manta rays, turtles, eels, rays, dolphins, humpback whales and sharks, without the cage! Exhilarating surf launches and a qualified dive master to accompany you on each dive. We offer a boutique diving service with exclusive boat charters, pleasure cruises, tours and personal attention for the discerning diver. Scuba diving packages are available at competitive prices and training courses can be arranged to suit you. Situated in the peace and tranquillity of the African bush, the self-catering cabins are serviced with linen, electricity and en-suite open-air ablutions. The rustic baracca is central to the outdoor entertainment area with a fully equipped kitchen, lounge and dining area flowing out onto the splash pool, to enable you to take full advantage of the warm summer evenings. In addition there is a 2 bedroom cottage with a lounge, bathroom and fully equipped kitchen. The African sunset sees you sipping sundowners beside the pool at Toad Tree Cabins, or exchanging tales around the camp fire, watching the sparks fly into the dusk, the only sound, the sizzling of meat on the braai, a log shifting in the flames and the occasional beat of an African drum. Just you, the African sunset, the campfire and the stars. 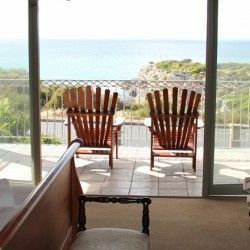 Toad Tree is a birder friendly camp, sleeping 16 people, and offers premium lodging for weekend get-a-ways and a peaceful holiday destination for scuba divers and nature loving travellers alike. We would be delighted to welcome you to our cabins, share the African spirit and accompany you on a game drive or a cultural tour.